This mahogany cribbage board is 12 inches in diameter. 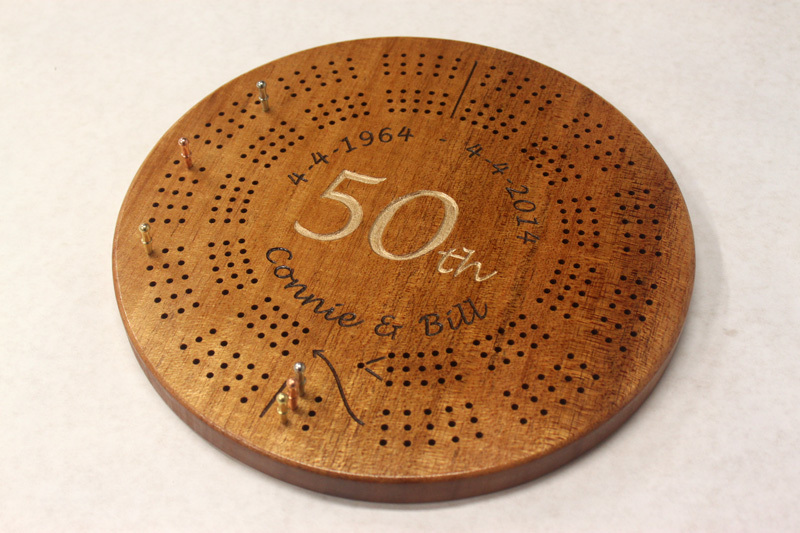 It hangs on the wall when not in use and comes with a hanging hole pre-drilled at the top of the back of the board. 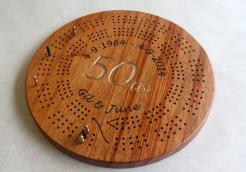 The board face features three spiral tracks and an engraved center area with a large gold "50th". The other engraving is filled with deep brown acrylic paint. After sanding smooth, this board is brushed with shellac to protect the wood. Please provide the names and dates you require for the engraving. We'll send you a mockup before we start work to make sure it's just how you want it.